Home. Kids. Life. : A Family Review: VeggieTales' "MacLarry & The Stinky Cheese Battle"
A Family Review: VeggieTales' "MacLarry & The Stinky Cheese Battle"
We're big on Family Movie Night around here. How about you? And Family Movie Night means family-friendly movies. Movies that entertain both kids and adults. And VeggieTales movies are usually high up on our list. We're big VeggieTale fans. They appeal to both kids and adults. They have the humor that makes adults laugh and the humor that makes kids laugh and they always have a great message. Seriously...the veggie boy band "Boyz in the Sink" gets me every time. Maybe because I grew up in the era of boy bands, but the veggie one has me in stitches every time. I'm especially fond of the "Belly Button" song. My kids just don't get why I'm laughing and smiling from ear to ear when I see or hear that one. They didn't grow up in the 90's. But at least they get to grow up with VeggieTales. If you haven't listened to "Silly Songs With Larry," well, you're missing out. Some big people in this family have been known to go around singing, "Can I have my ball? Can you get my ball? Yada yada yada my ball dropped in to the gated community. The gated community." Gets my husband and I every time....The Gated Community. And yes, "MacLarry and The Stinky Cheese" isn't missing out, it's got "Silly Songs with Scottish Larry." So when we were offered the opportunity to view "MacLarry and The Stinky Cheese Battle," well, we were on it like cheese on pizza. Never mind that one of my children doesn't like pizza. I'm not sure where we got him. 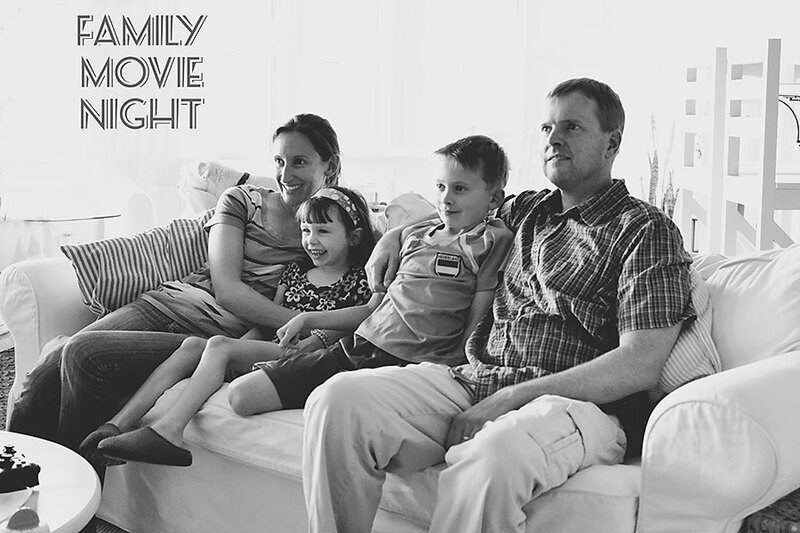 We anxiously awaited the day that movie would arrive so we could have another family movie night. We usually pile on the couch to have family movie night. The dog even joins us. Sometimes we have dinner or snacks. Except the kids have to eat at the coffee table and not on the couch. Those couches are white and the kids get them dirty enough as it is. This time, due to a long road trip (7 states and way too many miles), the kids and I piled on the couch to watch the movie. Daddy will watch it with us soon. "MacLarry and The Stinky Cheese Battle" does not disappoint. Veggies in Scottish kilts, pranks, Barber-barians, bad haircuts, smelling skunks, awesome names, great songs, and other antics. Dare I say it...it may be my most favorite VeggieTale. But I still have a few I haven't see yet. I know, I know...I've got to get on that. Again, humor for the adults and humor for the kids. Seriously, it had me in the beginning with the names Chog Norrius and Pompus Maximus. And the phrase, "Cut the Cheese, son!" I was laughing like crazy at that. (MacLarry was cutting an actual cheese, but it's also a common phrase for ahem...letting something else go.) The kids didn't get why I was laughing so hard. Apparently we don't use the reference, "Cut the cheese." I explained it to them and had to back up the video to watch it again. Then they laughed. The kids tended to laugh at the funny antics of the Veggie group, while I laughed at the funny phrases. Gotta love VeggieTales for their ability to appeal to kids and adults. Or maybe that just explains my sense of humor. And my son is starting to get more of the phrases too. "Mama," he said to me, "Barber-barians, do you get it? They're barber-barians." Oh, the kids loved MacLarry too. They laughed, they smiled, they even snorted. That made me laugh. I love when my kids laugh. The kids may talk about the Veggies' funny antics (shooting sheep, cutting hair, and such), but hopefully they're getting more out of it than that. Having a movie with Christian values, that actually mentions God, and appeals to children, what's not to like? Plus, it's funny and the kids remember that. Humor plus a moral lesson equates to a memorable visual experience for the kids. I like the fact that I don't even have to preview a VeggieTales movie before the kids see it. We can all sit down and watch it together for the first time. While I go on about VeggieTales and their humor, they're also great for being a moral tale. "MacLarry and The Stinky Cheese Battle" is about MacLarry, a misfit inventor, who is stuck in the middle of battle between two tribes of veggie pranksters. Stinky cheese makes an appearance as a big prank that turns out...well, you've got to watch the movie to see how everyone comes together in the end. MacLarry is different from those around him. That makes him feel out of place. But "Just because God made you different, doesn't mean you're any less important." MacLarry uses his God-given talent to help those around him. And isn't that what we should be doing? Using our God-give talents, even if we're different from others, to help those around us. And we should be getting along with others. "MacLarry" just might be an excellent movie for two siblings to watch. Two siblings who know how to get after each other and battle with each other. What a good story for two siblings to watch about getting along. Hmm...who might those two siblings be? This VeggieTale is an excellent tale to show kids that God gives us different gifts and we can appreciate each other and those gifts. And the science teacher homeschooling mom in me was delighted with the bits of science in this video. It just may come in handy when the kids and I do a physical science unit. Besides the bits of science in the video, you can download an activity booklet to go along with the video. It's full of coloring pages, jokes, songs, activities, recipes, and other fun stuff. If you're a VeggieTale fan, I'd encourage you to check out "MacLarry and The Stinky Cheese Battle." You won't be disappointed. And if you haven't checked out VeggieTales before, why not start with "MacLarry and The Stinky Cheese Battle?" You might find that talking vegetables with no arms are your thing and you just might find yourself laughing so hard that you....have to pause the movie and run somewhere. Chewy: "Love it! And it was funny too." Scooter: "It's awesome! It was great." Scooter: "To get along with each other." I received a free copy of the movie to review. All opinions and snappy commentary are my own. Now I'm going to go cut the cheese...for lunch. I have a feeling "Cut the cheese" is going to be said around here frequently for the near future. At least we'll be laughing!